Can I make a recurring monthly donation? How can I change my monthly giving amount? ACCESS YOUR ONLINE GIVING ACCOUNT! Is your name misspelled on your fundraising page? Would you like to add a custom avatar to your donor profile? Need to update your address or credit card information? Looking for that option to resend a donation receipt? No problem! You can edit all of your personal information in the NEW Shriners Hospitals for Children donor profile account (automatically generated when you made your donation or created a fundraising page through Shriners Hospitals for Children). 1. 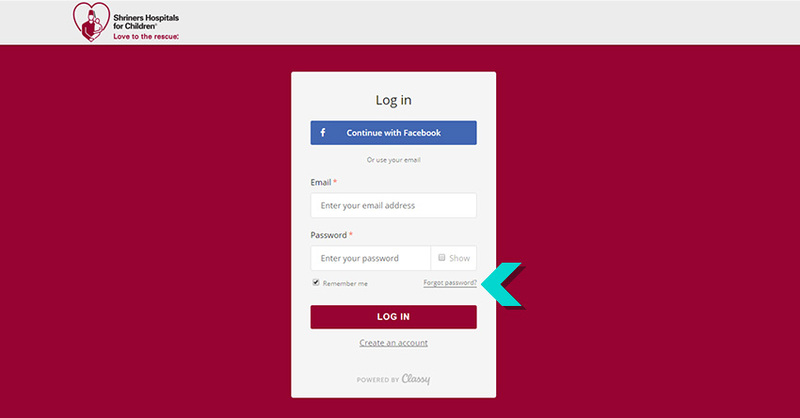 CLICK "LOGIN TO YOUR ACCOUNT"
From the lovetotherescue.org homepage, roll-over “Get Involved” and select Login to your account (or the login link at the bottom of the website). You can also click the “Manage my Donations” block found in your donation receipt email. Please note; when accessing your account for the first time you will need to use the email address that was provided when making your donation. 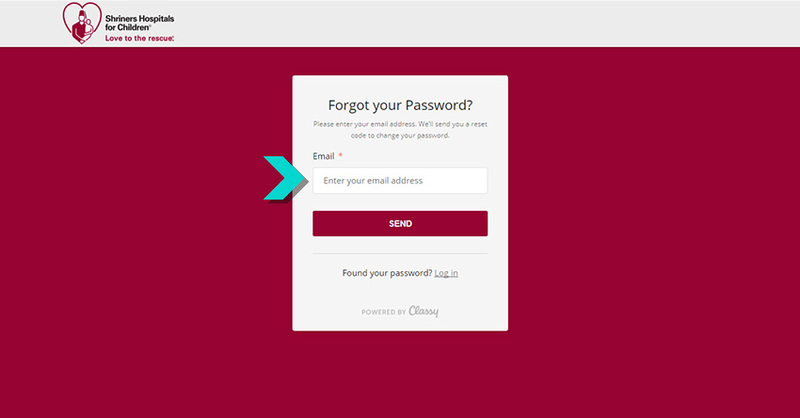 By clicking "Forgot Password" you will be creating a new password (when accessing your donor profile for the first time you will need to use the email address that was provided when making your donation). After you click “Forgot Password” follow the instructions to obtain your magic code, allowing access to your NEW Shriners Hospitals for Children donor profile. Please keep in mind that magic codes expire within 15 minutes of requesting activation, be sure to check your spam/junk/promotion folders. Once completed, you will have full access to manage your donations made online. If, after creating your account, you lose your password, please use the following instructions to reset your password — How Do I Reset My Password? Having issues? Please contact our service and support team via donorsupport@shrinenet.org OR visit our online service and support center by clicking here. Please note; when accessing your donor profile for the first time you will need to use the email address that was provided when making your donation. Thank you for your devotion and continued support. It's because of caring people like you that Shriners Hospitals for Children is changing lives every day through innovative pediatric specialty care, world-class research and outstanding medical education. Having issues? Please contact our service and support team at donorsupport@shrinenet.org or visit our online service and support center by clicking here.